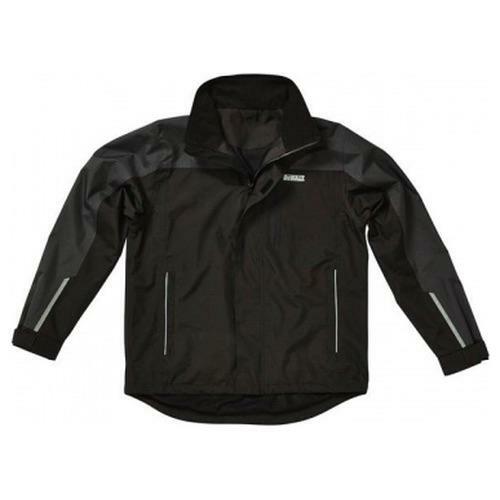 Grey/Black lightweight waterproof jacket. Concealed hood with toggle adjustment. Storm flap centre zip fastening. Lowered back and velcro adjustable cuffs. Vented back panel. Zipped pocket left breast and two hand pockets to lower front. Reflective piping detail to lower arms and pockets. A modern styled waterproof work jacket for all occasions.